Swatch Sunday is fun today, because I’m using a brand I’ve never worn before. 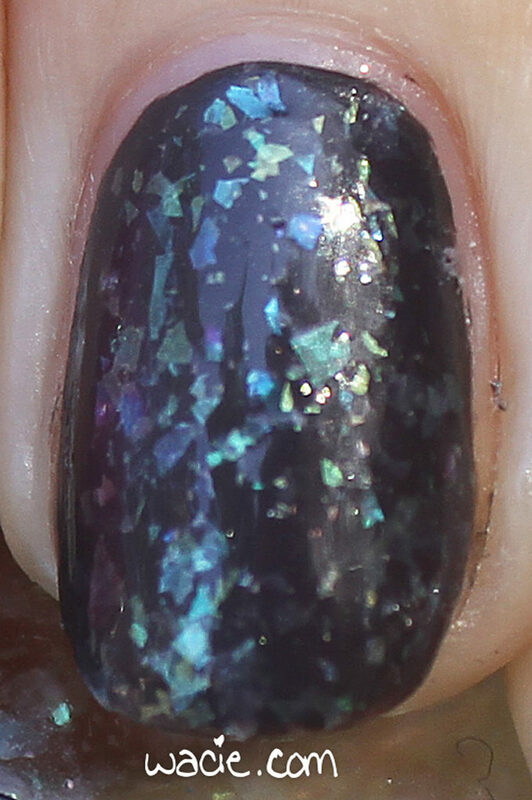 I’ve gotten a few Finger Paints polishes here and there at Sally Beauty sales, but this is my first time working with one. 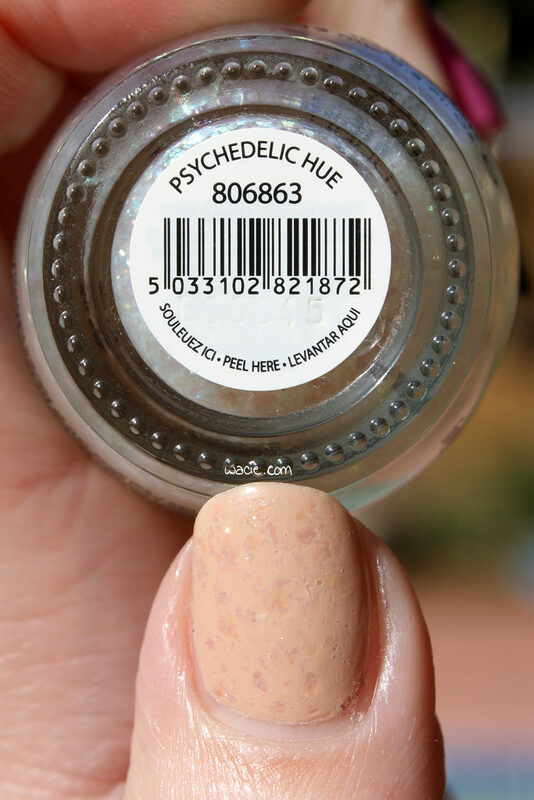 I’m wearing one coat of Finger Paints’s Sugar Cookie for two over China Glaze’s Pelican Gray and OPI’s I just Can’t Cope-acabana, as well as one coat of Alter Ego‘s She Shines top coat. 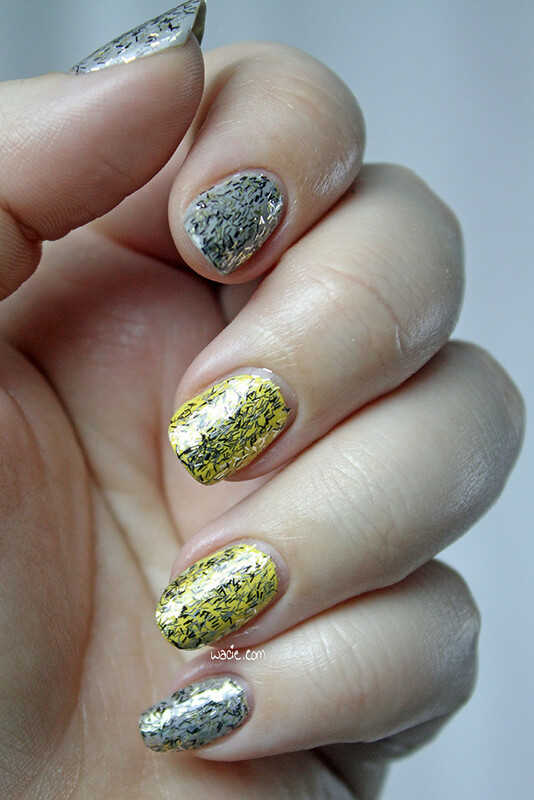 Sugar Cookie for Two is a clear glitter topper with metallic bar glitters in gold, silver, and black. Application wasn’t as easy as I’d have liked it to be. 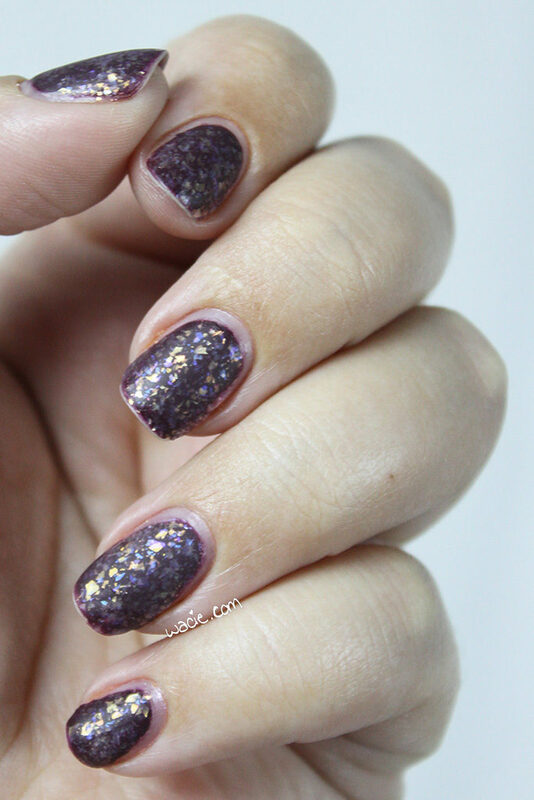 I don’t know if the brush was just thin or the glitters just slip off the brush back into the bottle, but I had a hard time getting the glitter onto my nail. It didn’t spread well at all. 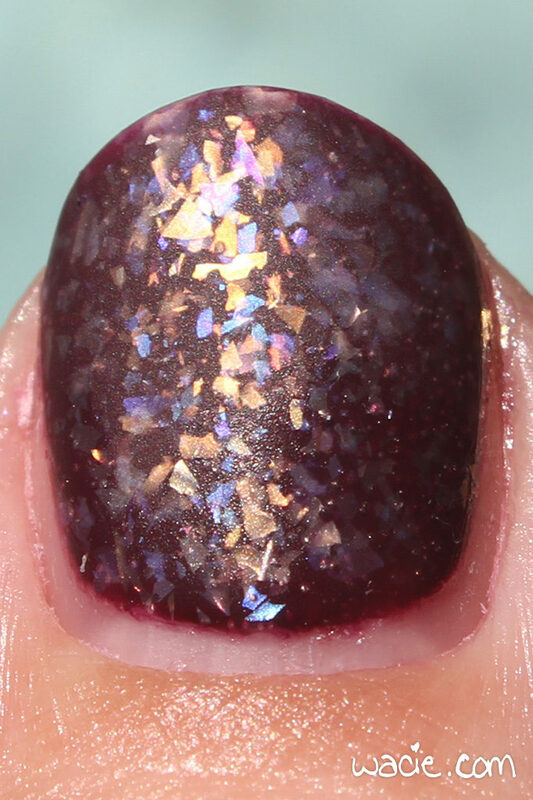 I had to dip back into the bottle two or three times just to cover one nail. 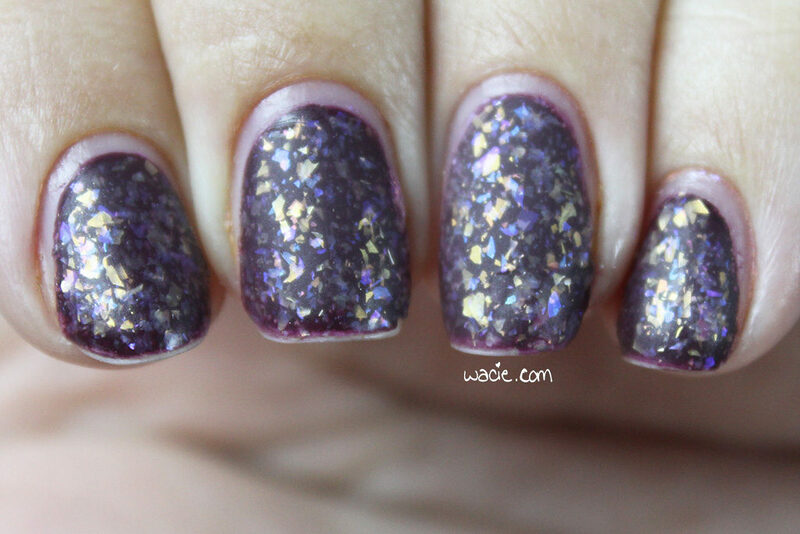 As a result, the glitter is really sparse in some places and clumpy in others. Overall, I got pretty good coverage with it, but I would have liked it to be more even. 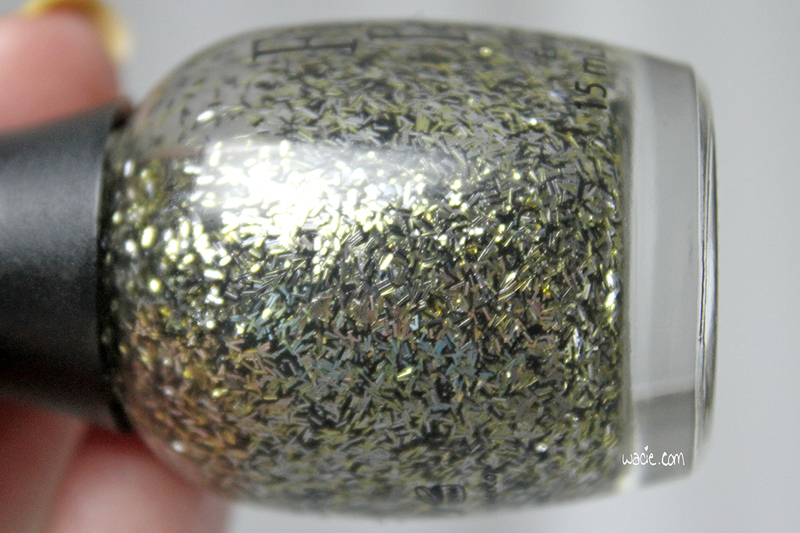 On the plus side, drying times were good, and the glitters feel smooth to the touch when dry. 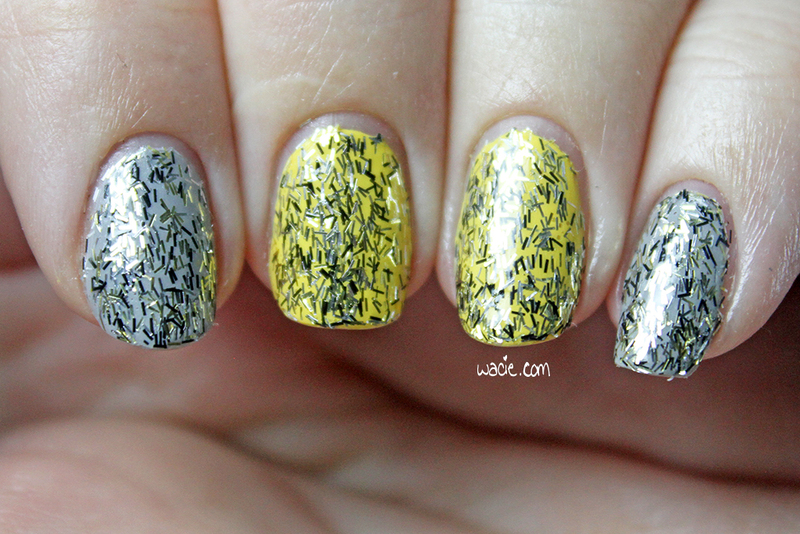 Also, the glitters are short bars, so they’re easy to work with. The longer ones want to hang off my nail like eyelashes, and I didn’t have that problem with these. I really like this look, all complaints aside. 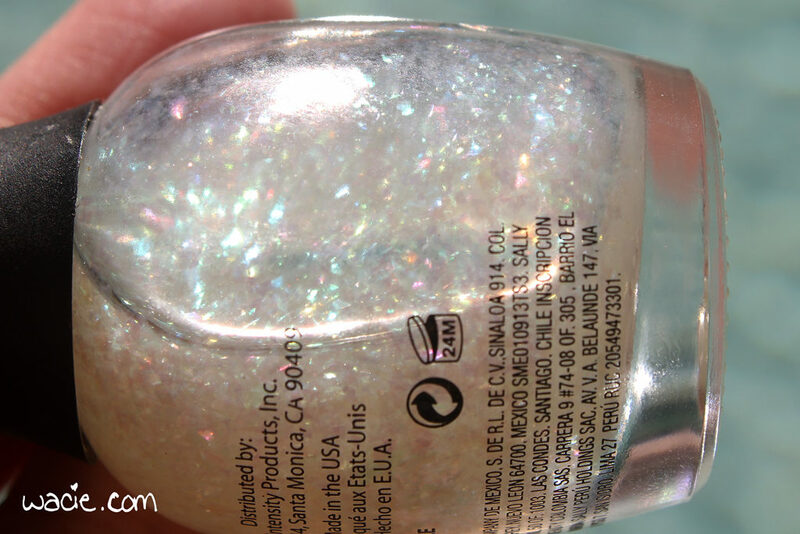 The glitters are super shiny and reflect tons of light and color. 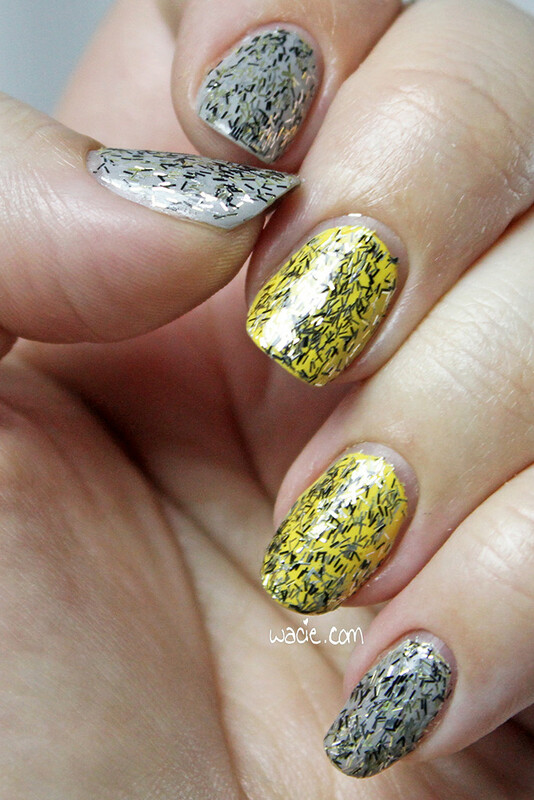 The combo is a little jarring, maybe, but I think it makes my nails look like luxurious little cupcakes. 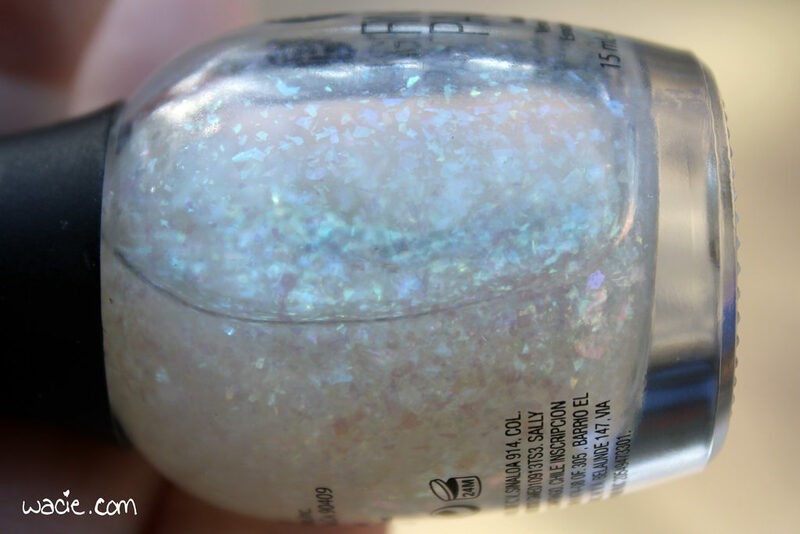 I’m a little curious to know what it would look like as a full-coverage glitter; I’ve worked with all-bar glitter polishes before, like the Nails Inc. Feather ones, and three coats covers up pretty much everything. This might look really nice at three full coats, though I do wonder with how this one applies whether it could achieve full coverage at all. Since I found Sugar Cookie for Two in a sale bin, it’s possible that it has been discontinued. 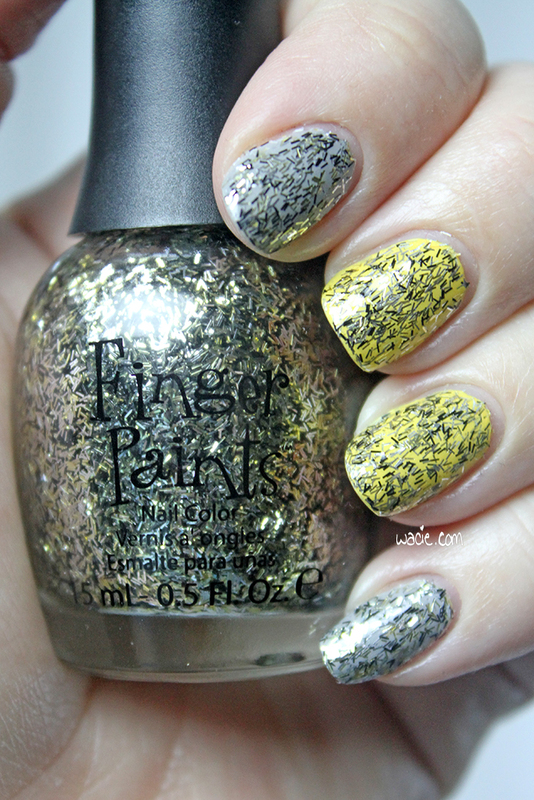 Other Finger Paints polishes are sold at Sally Beauty Supply.